The Hemkund Sahib is situated near the Valley of flowers, at an altitude of 4,329 m above sea level. The holy lake Hemkund is associated with the 10th Sikh guru, Guru Gobind Singh, the founder of the Khalsa (meaning 'the pure') Panth. It is believed that the guru had meditated on the banks of this holy lake in one of his earlier births. A Gurdwara is located on the banks of this lake. This is a very holy pilgrim spot of the Sikhs. Hemkund is located in India's northern state of Uttaranchal in the Garhwal region. As the name suggests, Hemkund is a lake in the Himalayas. There are many lakes in the Himalayas, but few are set in as dramatic a setting as Hemkund is. At an altitude of 4,329 m above sea level, which is several hundred meters above the tree line, the lake is set like a jewel in a crown of seven of the most picturesque snow peaks of the Himalayas.In this surrealistic landscape,made up mostly of rock and ice, there is no habitation-animal or human. The place is as if made to order for a man in search of absolute peace to meditate upon the absolute truth. Hemkund is mainly a pilgrimage site, and people come here to pay reverence at the Gurdwara and the Lakshman Temple. Besides, one can enjoy the serene and exotic beauty of the place. The Valley of Flowers is also located near Hemkund. Those interested in adventure sports can visit Auli during winters and enjoy skiing in the Himalayas. It is this very place where Guru Gobind Singh, the tenth and last Guru of the Sikhs, became one with God after prolonged meditation in his previous birth. He mentioned it in his writings in glowing terms, but only vaguely alluded to its exact location. And so, it was not until 1930, when two devout Sikhs, Sant Sohan Singh and Havaldar Mohan Singh, chanced upon it during a cartography mission, that the place came to be venerated for having hosted the great spiritual leader. The place is now regarded as an important pilgrim place of the Sikhs. 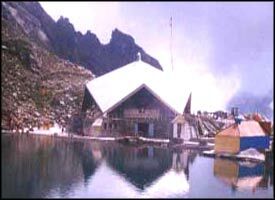 Hemkund is also a holy place for the Hindus. According to Hindu mythology, Hemkund (or Lokpal as it is also known) is where Lakshman had done his penance. 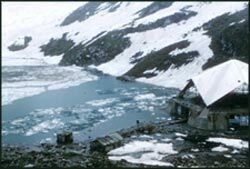 Being situated at such a high altitude, the climate of Hemkund is cold and inconsistent. The best time to visit this place is from July to September, as it is the only time of the year when the flowers are in bloom and the weather is not so cold. 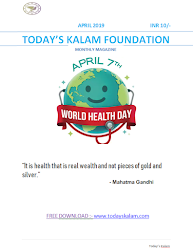 But before venturing on the journey, one should take care to carry woollens and raincoats. Good, strong trekking shoes are also a necessity.